Winter is a fantastic time to try a new activity! 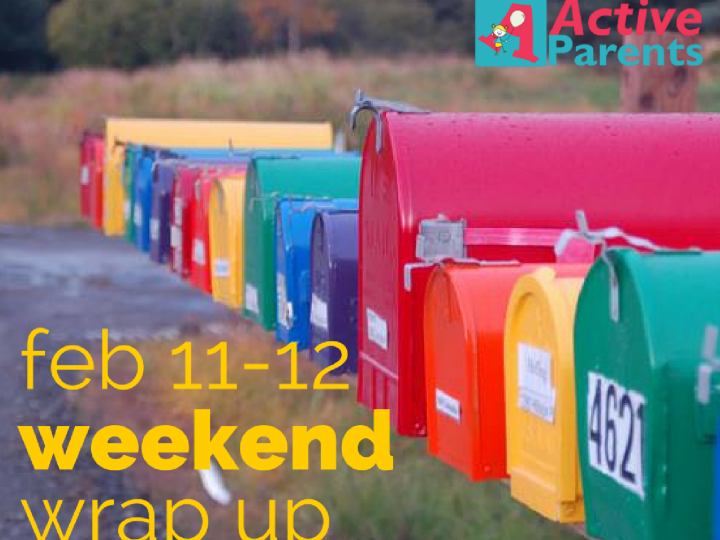 Whether you love the outdoors, art, sports, or movies – there’s something for every family to do this weekend! WNED-TV presents our first-ever Kid Fest in Canada! Children and parents can enjoy a fun-filled family day filled with meet-and-greets with beloved PBS KIDS characters, as well as an assortment of activities, prizes, and more. Live performances, crafts, and giveaways! Same-day admission to the Royal Botanical Gardens included! Family Play Fit at Brant Hills – Drop into the gym to be active together as a family. Enjoy and enhance your child’s FUNdamental Movement skills by trying out our Physical Literacy stations at your own pace. Come back week after week to enhance your child’s skills. Drop in and play at Duran Place for Kids – it’s a brand new spot, and your kids will love it! Mine did! Ace Academy Flight Experience lets you pilot a First World War biplane using motion-sensing technology in this exciting interactive exhibit from the Canada Aviation and Space Museum. STEAM starts with Science brings your kids some hands-on fun exploring science, technology, engineering, art, and math. What can you build at Library LEGO? Come create with our LEGO. Children 5 and under must bring an adult. Choose form a morning or afternoon session. The Michaels Kids Club is where your kids explore their creativity while you shop! Choose from two projects designed specifically for your little maker’s age range. Today the artists are making some foxy friends! Come Build with Us Challenge! Bring your BIG ideas, inventiveness, problem-solving, creative thinking, teamwork, and get building! Use our assorted construction materials to meet new challenges every week. Visit the new Spiders Alive! exhibit at Royal Botanical Gardens! Explore amazing adaptations and behaviours of spiders and other many-legged creatures in two interactive exhibits and daily programs for all ages. Read more together! The library has multiple Story Time sessions happening today at a branch near you. Don’t let winter keep you inside! Mountsberg Conservation Area invites you to join us on a horse-drawn sleigh ride through a winter wonderland. At Tales By Midnight Babarind Williams uses the African cultural arts of interactive storytelling, dance, and hand-drumming along with visuals of animals in the African jungles. Come prepared to drum and add your voice to this lively event! Cineplex’s $2.99 family favourite movies continue every Saturday at 11:00 a.m. It’s a fun and affordable way to enjoy time with your family and friends! This week the feature film is Alpha. Family Yoga invites you to bring your own mat and join us for a session of all ages gentle yoga, led by instructor Stephanie MacLeod. Class space is limited. Please arrive early to register in person. Love to play basketball? Come practice your 3-pointer or work on your jump shot, youth can drop-in to shoot some hoops at Brant Hills Community Centre at 1 pm. Redleaf Cultural Integration will host it’s 5th Chinese New Year Celebration at Burlington Glad Tidings Church. We are expecting more than 300 guests and artists come join us to celebrate this one of the most important Chinese holiday. Popping up in City of Burlington parks, tobogganing hills, and neighbourhood rinks through the winter. Pop Up n’ Play is a play experience where children can explore, create, imagine and play in their own way. Staff will provide materials to foster unstructured play that allows children to explore and use their imaginations. Open Family Gym – Drop into our open gym time for families. This is your opportunity to shoot some hoops, practice your shots, and get in a little active time with your family. Ages 5-12 with an adult. Open Studio at the Art Gallery of Burlington – Drop into this family-friendly creative space where kids and parents are encouraged to tap into their artistic side! Family Play Fit invites you to drop into the gym to be active together as a family. Enjoy and enhance your child’s FUNdamental Movement skills by trying out our Physical Literacy stations at your own pace. Shiny Recreation Hockey – Supervised recreational hockey allows youth the opportunity to participate in a game of pick-up hockey. What to do on the first long weekend of the Summer?